I created this resource page to easily list recommended stock trading related services, products, and companies that I use and/or those I know are exceptionally valuable. This way you can quickly find great products and services all in one place. You can save thousands of dollars all from this one page! Here is another free resource page that has some useful links to free stuff – all trading related. Don’t miss my tutorial on How To Get Free Stock Watch Lists from Millionaire Traders. Jason Bond Picks:Jason Bond Picks is a stock alerts and chatroom trading service I’ve been using for years, and I’m still very happy with the service. They have offer quarterly swing trading alerts and educational subscriptions for $299 per quarter. Read my Jason Bond Picks Review. They also offer a FREE email newsletter that I highly recommend you sign up to receive (they have never sent me any spam just top quality stock picks and research!). Try it for free here and please let me know if you make money from any of the FREE alerts! 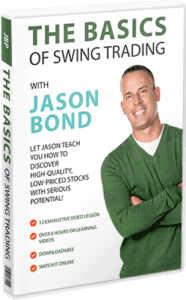 The Basics of Swing Trading: The Basics of Swing Trading DVD is a great resource that helped me make money trading stocks using a swing trading strategy. It is currently available for FREE through my link. I highly recommend the training that you will find in the 16 hrs that shows you how to win at trading from the ground up. Check out my review of this must have DVD. Broker/Trading Platform – FREE stock if you signup through my link below! I use RobinHood as my main broker. This is because I mainly swing trade stocks and don’t care so much about execution speed etc. For swing trading RobinHood works well and I highly recommend it. 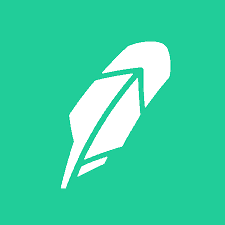 The cool thing is that if you sign up for a free RobinHood account through my link (click here) you can claim a share in a stock for FREE! How cool is that? The price of the share can range from $3.5 all the way to $200 per share! This might not last forever so I would sign up through my link ASAP and claim your FREE SHARE of a stock. The RobinHood App is worth it and who said there is no such thing as a free lunch! I supplement my trading account by making extra money online. If you would like to learn some simple tricks to make money blogging, building websites or even for shopping online, check out this useful resource. You will find tons of reviews on affiliate marketing courses, what online surveys can make you money and other side income generating methods. Highly recommended for helping you to build a massive trading account!